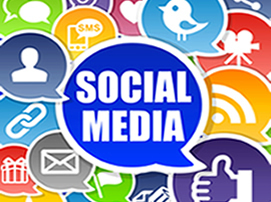 Online Services IDM will help to leverage Social Media Marketing for your business. We will use the tips and tricks you need to harness the power of the social media sphere- Facebook, Google+, Twitter, and many others. This will help you to get found by more potential customers. Update your accounts regularly to "keep the conversation going"
Our goal is to increase your visibility through Social media Networking in order to increase your sales. As part of our Social Media Marketing process, we strive to reduce your work while increasing your visibility.